a look at the most recent applications of Baudrillard’s ideas. Richard J. 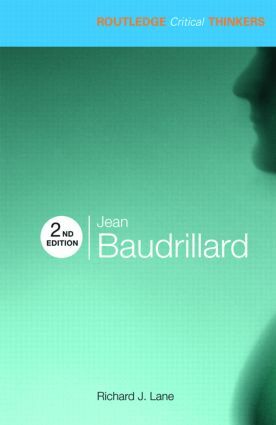 Lane offers a comprehensive introduction to this complex and fascinating theorist, also examining the impact that Baudrillard has had on literary studies, media and cultural studies, sociology, philosophy and postmodernism.